Ivan's Childhood is a film that portrays the horrifying nature of war better than most, yet very little actual combat is shown. Personally, I don't need a constant stream of bodies collapsing to the ground, missing limbs and barely breathing soldiers desperately trying to cover wounds to remind me of just how destructive mass violence and chaos can be on humanity. 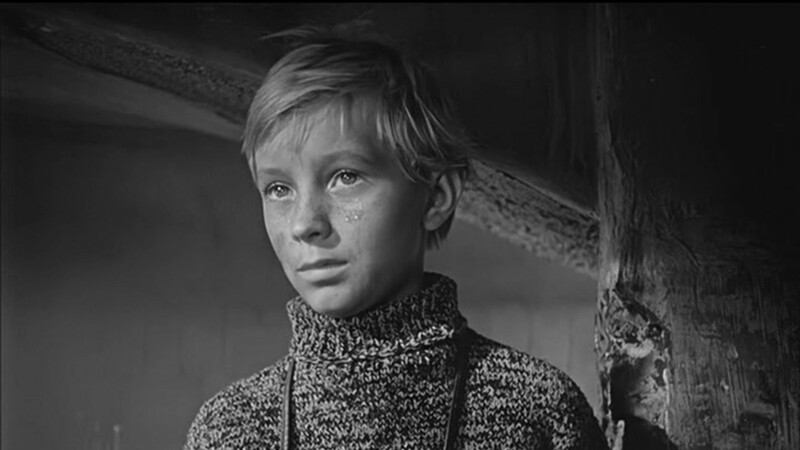 Andrei Tarkovsky centered this film around a 12 year old boy named Ivan, a child seemingly adopted by the military after he is orphaned as a result of war. We see these men handle him both as the child he is, with kid gloves so to speak, but also with the respect a fellow soldier would deserve as he serves as a spy for their side. The life of a child, ravaged by war. We see the morose landscapes that he currently occupies, but we also experience both his memories and his dreams, beaches soaked in sunlight rather than the devastation of a region under attack. An adolescence destroyed for reasons far beyond his control, forcing a boy to become a man at an age far too young. Often times after someone sees a film, a common question they are asked is "Who was your favorite character?". 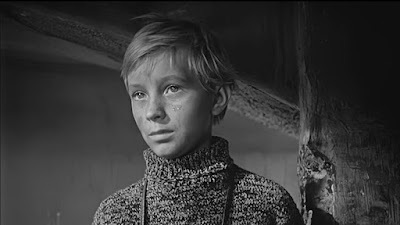 In Ivan's Childhood, my favorite character might be Tarkovsky himself and the way he framed his subjects. Another possibility is director of photography Vadim Yusov and the absolutely brilliant way he used lighting as it poured in from one spot through an otherwise bleak location, like a ray of hope shining through the surrounding misery. Despite being filmed over 50 years ago, this is a gorgeous piece of cinema, one that seems to have aged like a fine wine. As I have previously experienced a few other Tarkovsky pictures, it was interesting to go back and start from the beginning, witness the way he introduced himself to the world as a filmmaker.